You’re all set to begin your wonderful hamster odyssey. Time spent on researching which hamster is best for your requirements, as well as nutrition and health, has proved invaluable. Then you start checking out hamster cages for your imminent, cute arrival. Feeling overwhelmed? Likely, you’re not alone in that. 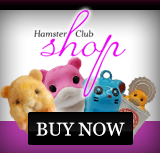 The volume of information available on choosing a hamster cage is mind-boggling. So if you want some straightforward ideas on sourcing the best hamster cage, then read on! Before you buy the shiniest cage on the block, spend a bit of time on the nitty-gritty of hamster cage wisdom. 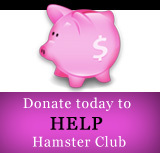 The size of your hamster should influence the type of enclosure you use. A key point to remember is that, although all cages should be safe and spacious, they also need to be escape-proof. Another aspect to consider is space in your home – where you intend to keep the cage and if there are limitations on cage size. Also, some cages vary in design complexity. Lots of tunnels, for example, as well as other add-ons, will mean more time spent on cleaning/maintenance. Finally, if your new arrival is for a child, this might influence cage style – some designs facilitate lots of viewing entertainment. 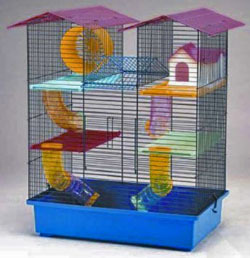 Whatever the type, all cages should have sufficient room for your hamster to explore, feel safe and play. It’s recommended that cage heights should be a minimum of 15 cm, with higher cages the ideal. Hamsters need lots of bedding to feel secure so the bigger the cage the more material you can provide for them. Cage structures vary, from wire to glass and plastic – avoid wooden structures, as tiny teeth will cheerfully gnaw at these. Cages should contain food and water bowls [or water bottles], as well as stimulating toys and cozy nest areas.